In a Nutshell: When merely keeping a roof over your family’s head is a daily challenge, nutritional and medical needs can often fall by the wayside. Luckily, many health care institutions are committed to meeting these needs in underserved communities. A good example is Boston Medical Center, which achieves this through a variety of programs and partnerships. The center’s food pantry, with its teaching kitchen and rooftop garden, helps patients and their families develop a diet that will speed recovery and prevent disease. In keeping with a multidisciplinary approach, BMC also offers services to help patients overcome language, financial, and socioeconomic barriers to better health. Among its initiatives is a $6.5 million housing investment that aims to improve community health and study how to replicate results locally and nationally. For people living in low socioeconomic conditions, things like medicine, nutritious food, and adequate housing are often out of financial reach. Maintaining one’s health on a budget becomes a choice between buying fresh produce and paying rent. In Boston — a city that reported a 21.5% poverty rate in 2017 — many people find themselves in this situation. Recognizing this harsh reality, Boston Medical Center is a nonprofit academic medical center taking measures to help. It operates a number of internal programs and partnerships that increase equity and social impact in patient communities. Adhering to the philosophy that healthcare institutions are anchors of their communities, BMC provides accessible health care to people who need it most. “Equitable health care is ingrained in the work that BMC does,” said Thea James, MD, Vice President of Mission and Associate Chief Medical Officer. BMC believes everyone should receive high-quality, affordable health care that is culturally and linguistically appropriate to each individual patient. To this end, the center offers programs like nutrition supplementation and education, provides treatment to underserved children, and mitigates public health problems by zeroing in on their social causes. These efforts not only treat illness, they also reduce occurrences by addressing the root causes. It’s no secret that proper nutrition is a pillar of health, and dietary deficiencies can have serious consequences in a person’s physical and mental well-being. Rather than merely treating the symptoms of malnutrition, BMC has implemented proactive measures to help people eat better and avoid illness. One of these is the center’s on-site food pantry. The program began with Dr. Deborah Frank, a pediatrician at BMC, who realized her failure to thrive (FTT) toddlers weren’t getting better because they were not receiving enough healthy food at home. “Patients were actually complaining to their providers that they didn’t have enough food to feed their families,” Hiralall said. Frank started operating a food drive out of her office, distributing the food to her patients’ families. But Frank couldn’t keep up with the demand alone, so she asked BMC administration to establish a food pantry to help patients meet their nutritional needs. Administrators not only agreed, but also created a teaching kitchen to show patients and their families how to prepare healthy meals with the food BMC provides. “Our mission at the Teaching Kitchen is to improve the health and wellness of our patients and staff by encouraging them to make healthy food choices and teaching them how to make economical, delicious meals at home,” said Tracey Burg, RD, Chef and Dietician at the BMC Teaching Kitchen. The teaching kitchen began with five classes per month and now offers 25 classes per month, all of which are free to patients and their families. Courses include Diabetic Cooking Essentials, Cardiac Rehab, Weight Loss, Kidney-Friendly Cooking, nutrition classes for people receiving cancer treatment, and Cooking for Recovery for patients suffering from substance use disorders. The teaching kitchen also offers programs for children, including a summer culinary camp. “Participants have the chance to assist in the food preparation and engage in discussion about the lesson topic, finishing with a sampling,” Burg said. Patients and their families can visit the food pantry twice per month and receive three to four days worth of food — including fresh fruits, vegetables, and meat — for their household at each visit. Each month, the pantry distributes over 50,000 pounds of food to more than 1,800 families. The Greater Boston Food Bank provides 12,000 pounds of food per week, and fresh produce is provided by BMC’s own rooftop farm. The farm, operated by Higher Ground Farm, was started in 2017 and occupies the previously unused space atop BMC’s power plant building. At 7,000 square feet, it has the largest plantable space of any rooftop farm in Boston with 25 crops growing on nearly 2,400 square feet. With its food pantry, garden, and teaching kitchen, BMC ensures that members of underserved populations have access to healthy food and to knowledge that will help them make the most of it. And while nutrition is important for patient recovery, it’s just as important for ensuring at-risk children avoid illness in the first place. Started in 1984 as Part of the Department of Pediatrics, BMC’s Grow Clinic for Children is an outpatient subspecialty clinic that provides comprehensive medical, nutritional, and dietary assistance to FTT children. FTT is characterized by shortened attention spans, an increased risk of illness, persistent growth failure and emotional problems, delayed learning and language skills, and impaired motor skills. The Grow Clinic has served more than 1,650 FTT, about 12% of whom have been homeless, and 82% of whom depend on public health insurance. In the last five years, the clinic’s referral rate has doubled. Children’s HealthWatch, the Grow Clinic’s outreach and research arm, works to identify the needs of FTT children when they enter the emergency room and conducts community outreach. The latter takes the form of education and partnership with community health centers. Both measures have resulted in earlier intervention for FTT children, reducing the risk of hospitalization from 50% at the clinic’s inception to just 5% in 2006. Children’s HealthWatch also monitors the impact of public policy on children up to age 3, and it conducts policy advocacy. The goal is to decrease the number of children with needs that contribute to FTT, stopping the problem before it begins. Boston Medical Center’s Grow Clinic addresses the holistic needs of FTT children. BMC and the Grow Clinic approach FTT as a medical problem, but they also recognize that it is a socioeconomic condition. Thus, the center takes a multidisciplinary approach to FTT treatment. In addition to medical care, the clinic provides developmental and social services, as well as nutrition education to ensure safe, secure family environments that will facilitate children’s overall well-being. Grow Clinic helps at-risk children increase their odds of developing into healthy adolescents and adults. And, in keeping with the multidisciplinary approach to FTT, BMC is dedicated to addressing the larger, non-medical issues that affect the health of children and adults. BMC’s most obvious means of improving community health is through medical treatment, but illness can be a symptom of larger social issues. The best way to decrease the occurrence of illness is to improve the conditions that have negative impacts on health, particularly by overcoming social and cultural barriers to wellness. One common barrier is language. “Boston is one of the most diverse cities in Massachusetts,” said Elida Acuna Martinez, Director of Interpreter Services at BMC. Martinez said that 57% of the city’s population are African-American or Hispanic; and 37% speak a language other than English and consider themselves limited in English proficiency (LEP) citizens. Patients with limited English proficiency are at a disadvantage when receiving care from an English-speaking physician, as are patients who have visual, speech, and hearing impairments. BMC’s staff includes 60 professional medical interpreters offering services in over a dozen languages 24 hours a day, seven days a week, free of charge. They are available to translate face to face, over the phone, or via video chat and help patients communicate more effectively with doctors and gain a better understanding of diagnoses and treatments. This increased understanding facilitates adherence to treatment, which, in turn, has positive effects on their health as well as on the hospital and its insurance finance. Just as finances are an important aspect of a medical institution’s well-being, it’s also a major factor of a patient’s well-being. Financial adversity and the stress it brings can have negative effects on personal health, which is why BMC offers financial counseling services to patients. StreetCred helps some of Boston Medical Center’s pediatric patients’ families prepare their taxes. 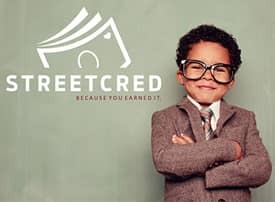 A free tax preparation service, known as StreetCred, is available to families who are receiving pediatric care at BMC, and who are eligible for Earned Income Tax Credit and Child Tax Credit. This service helps families get the appropriate credits and the full refunds they’re entitled to. In 2017, the program garnered more than $1 million in tax returns for BMC patients’ families, money vital to providing food, medicine, and shelter for low-income families. Housing insecurity is also tied to various health problems, an inability to afford prescriptions, and malnutrition in children. To address these issues, BMC invests in affordable housing through community partnerships in its patients’ neighborhoods. In 2017, BMC made a five-year, $6.5 million investment in local housing initiatives. It is the first time a Massachusetts hospital has dedicated all of its required community health investment into addressing a single social determinant of health. The project will be used to study how health care systems can best improve community and patient health levels, and how they can reduce medical costs by addressing homelessness and housing insecurity. “These programs are just a selection of the work we’re doing here at BMC to benefit underserved communities and create health equity across the city and state,” James said. You can read more about how BMC is improving patient well-being on the center’s Programs and Services page. Of BMC’s $6.5 million affordable housing investment, $1 million is earmarked for a no-interest construction loan and a $400,000 operating subsidy for a Good Foods Markets supermarket in Bartlett Station, a 323-unit affordable and market-rate housing development. Community partners will use another $1 million to create a housing stabilization program for medically complex individuals, such as those with substance use disorders. A $200,000 block will go to upgrading Boston Housing Authority properties to better meet the health needs of tenants; $80,000 has been allocated to staff a Community Wellness advocate, who will act as a liaison between the housing authority and tenants in need of comprehensive health care. Finally, $450,000 will contribute to studying BMC’s investment and evaluating the possibility of replicating it locally and nationally, and another $105,000 will be used to study the impact of BMC’s housing investments on reducing health care costs and improving quality of care. “As the region’s largest safety-net hospital, we will continue to look for ways to address key upstream barriers to accessing care so that our patients get the care they need, where and when they need it,” James said. And through initiatives like housing investment and study, BMC is working to bring that same sort of accessible, equitable health care to everyone who needs it — not just Bostonians.